Scottish 100% pure new Wool Plaid Tartan Ribbon in a fantastic choice of over 500 tartans in 8 different widths. 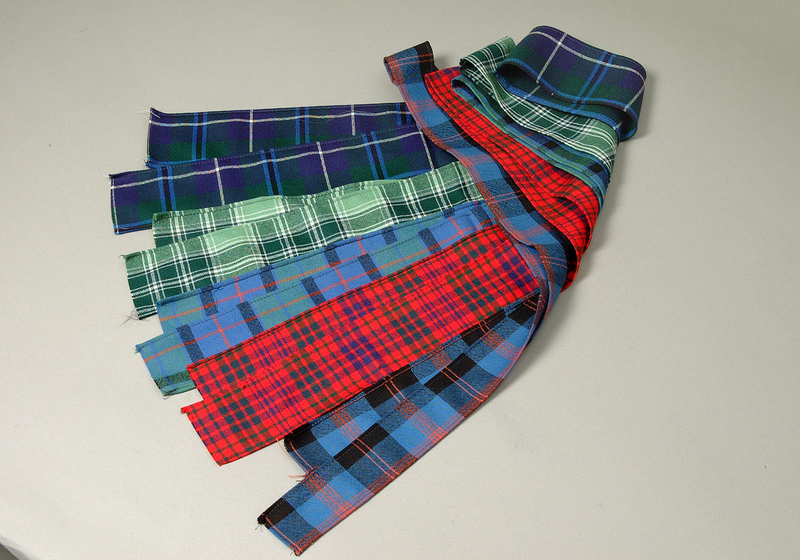 With over 5,500 registered tartans, but only around 40 produced in "proper" ribbon, we are constantly trying to find ways to offer our customers an ever wider choice. Wool Plaid Tartan Ribbon is available in over 500 tartans and, as the name suggests, is produced from 100% pure new Scottish wool plaid. PLEASE NOTE WE CANNOT OFFER WOOL PLAID TARTAN RIBBON AT WHOLESALE PRICES as our prices are already around HALF what most weavers and highlandwear companies charge. 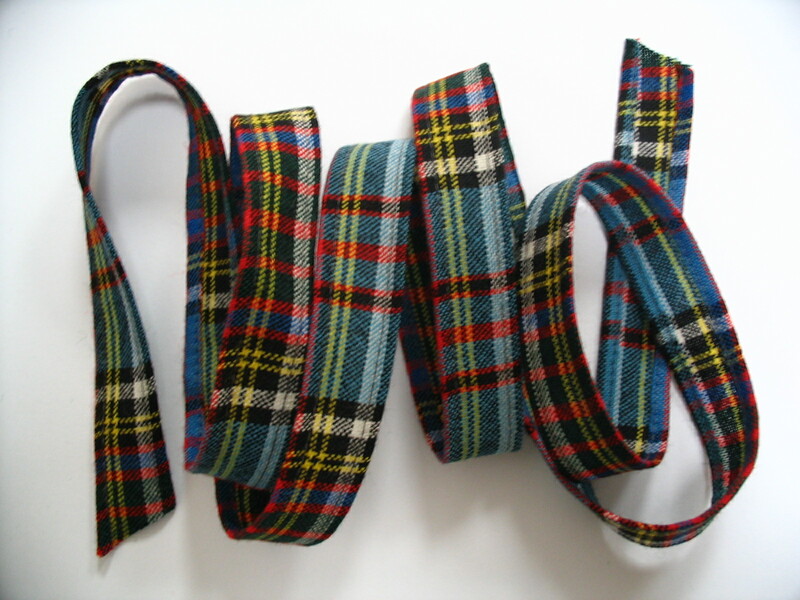 Please click here to see Wool Plaid Tartan Ribbon on our main (retail) site. Wool Plaid Tartan Ribbon is by its nature a very high quality product, but we are delighted to offer excellent value for money . . . one pack of 10 x 54" strips is equivalent to 13.7 metres, which means this fantastic product costs from around only £1.80 per metre (1" width). In fact, for the price many companies charge for 5-6 lengths, we can offer a pack of 10 lengths so cannot also offer a further trade discount. Please note this ribbon is cut and hemmed to order, so please allow around 14 days for delivery.